You have seen the recent news about a local man being arrested and jailed for his refusal to pay Court Ordered Child Support. Now, this is only done after one is initially ordered to pay, doesn’t pay, then is formally requested to pay, given notice, given an opportunity to pay or prove their inability to pay with specificity, and then and only then, jailed as a last resort. In these circumstances, knowing the layers of review, the opportunities afforded by the Court and the fact that everyone had a lawyer (actually multiple lawyers), my sympathy is nil. This is Contempt of Court and ultimately the wrong-doer has the keys to the jail. All you have to do is pay what you owe and you are free to go. However, if you still don’t pay, your troubles can multiply. Any parent who shall desert or wilfully neglect or refuse to provide for the support and maintenance of his or her…children…while said…children are under the age of eighteen (18) years shall be guilty of a felony and, on conviction thereof, shall be punished for a first offense by a fine of not less than One Hundred Dollars ($ 100.00) nor more than Five Hundred Dollars ($ 500.00), or by commitment to the custody of the Department of Corrections not more than five (5) years, or both; and for a second or subsequent offense, by a fine of not less than One Thousand Dollars ($ 1,000.00) nor more than Ten Thousand Dollars ($ 10,000.00), or by commitment to the custody of the Department of Corrections not less than two (2) years nor more than five (5) years, or both, in the discretion of the court. Prison for not paying child support? Yes. It’s the law. 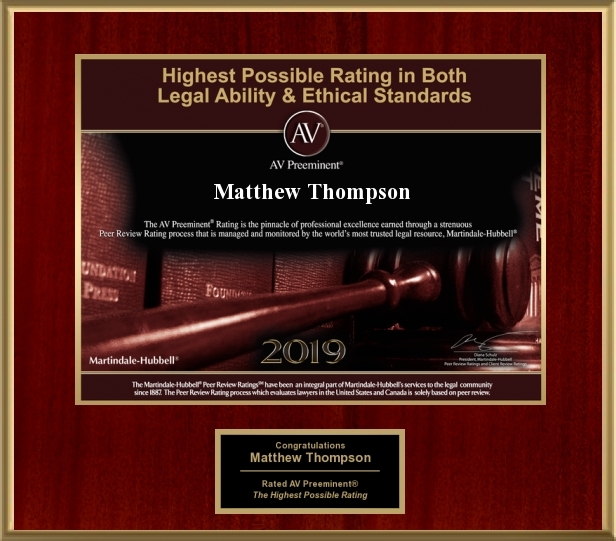 Matthew Thompson is a Child Custody and Child Support Attorney in Mississippi. It’s going to happen at some point. You will get to (or have to) introduce your new soulmate to the children. But, do you have to make it awkward? These are the TOP 5 ways NOT to introduce your new beauty or beau. 5. At the Traditional Family Holiday Dinner. It should preferably be on an occasion prior to this and more casual. 4. At the pick-up/drop-off exchange. Sure, at some point you will all be a big, happy, blended family, but a slower introduction is usually better. 3. On an Overnight Trip. Could be contempt, could make for a long weekend. 2. The day the Divorce is final. This is too soon. 1. At the Wedding. It needs to be sooner, if possible.